Have a new food and beverage product and want to connect with the people who will take your brand to the next level? Then you need to be at FounderMade’s Future of Food Summit. 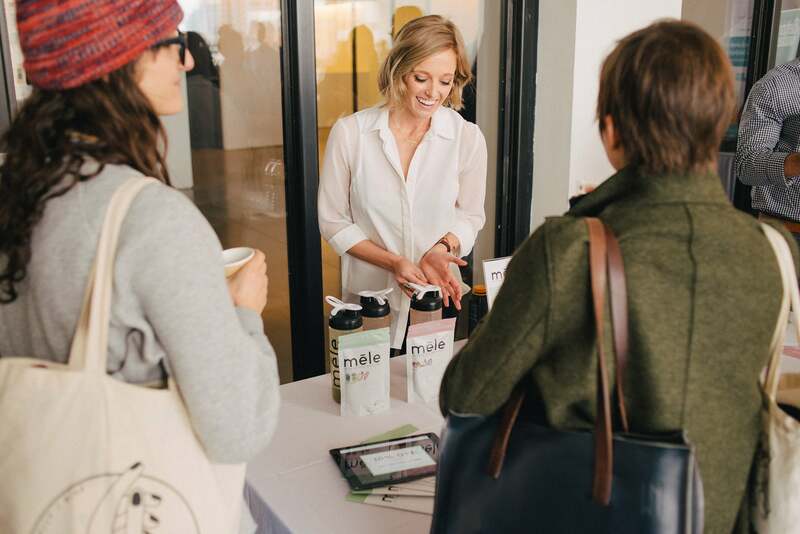 FounderMade, a consumer discovery platform and event series, is bringing their popular Future of Food Summit to Hudson Loft in downtown LA on Saturday, April 8th. Fellow food entrepreneurs, investors, distributors, retailers, and influencers will all be in attendance at this highly anticipated event. For entrepreneurs looking for something beyond networking, FounderMade has you covered. The one-day summit will also be bringing together industry luminaries to impart their wisdom during panels that range from Innovation, Investment, to Distribution and more. Speakers will include Dave Asprey, Founder of Bulletproof, Sarah Michelle Gellar and Galit Laibow, Co-Founders of Foodstirs, Jeff Church, Co-Founder of SUJA, Lewis Howes, Founder of The School of Greatness and Gigi Lee Chang, Founder of Plum Organics and Food Future Co. If you're eager to see a high-energy competition, there's that too. FounderMade will also be hosting a Shark Tank-style pitch competition during the summit. Three of the world's best new Food startups will pitch their companies live in front of a panel of industry experts. The winner of the competition will receive a prize package worth over $10,000 and potentially gain acceptance into the highly covetable Chobani Incubator. Want to be a part of the Pitch Challenge now? Starting Tuesday, March 28, 2017, you can cast your vote online for your favorite semifinalist. Give your favorite company's video a thumbs-up to help them secure a spot in the finals. The company with the most votes will automatically get a place in the finals to pitch their company live during the event. And that’s still not all. FounderMade carefully curates best-in-class companies to join their Discovery Lounge and Pop-Up Shop where new brands are able to connect with future partners, find investors, and share their products. Meet the founders behind RXBAR, Purely Elizabeth, Juice Served Here and more in the Discovery Lounge. Ready to connect with the top entrepreneurs, investors, distributors, and influencers in Food? You can visit www.foundermade.com/food-2017 to learn more and to get your ticket before they run out.